The crop jungle is calling you! Fun and Prizes is what you will find at this Wild Thing Jungle event. Your jungle experience will begin with a tour of the crop jungle in search of the Wildest Thing in the room. Are you the fiercest one in the jungle? We will then be off to hear all of the great sounds of the jungle as we ask guests to become one of our Wild Thing animals. Then things will get even wilder when we travel across the jungle river full of prizes and surprises. 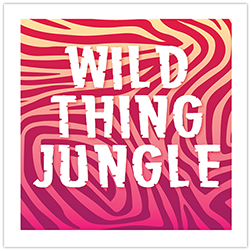 Decorate your crop area with all the Wild Thing Jungle spirit you have for a chance to do the Jungle Dance with all of your crop hosts. This event will bring out the "wild thing" in all of us.